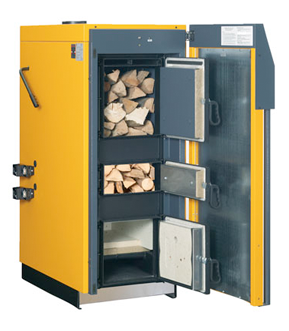 One of the most efficient products to look into this winter is Biomass boilers. There are three main types of Biomass Boilers; Log Biomass Boilers, Wood Pellet Biomass boilers and Wood Pellet Biomass Stove Boilers. They are all eligible for the renewable heat incentive so you earn money for supporting renewable energy and switching. 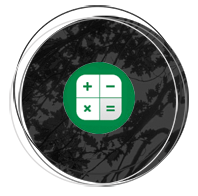 In fact, you earn on every kilowatt hour of heat generated from your appliances. This scheme means that in the long term you can make savings, but in comparison to your average domestic (non renewable) boiler or heating system there will be a bigger initial payment. Biomass boilers start around the £7,000 mark, and a larger biomass boiler with an auto feed hopper can cost closer to £12,000, and up to £25,000. 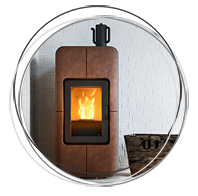 The mechanics of a Pellet Stove Boiler are much the same as the Biomass Pellet boilers but with an added element that they can also heat a room. 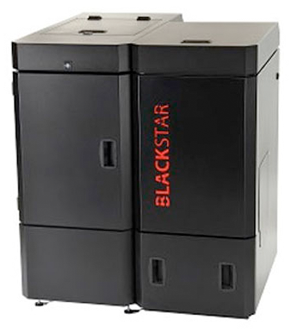 Biomass boilers can cost around £15,000 over its first year after installation and running costs included. It’s important to note this as more of a long term investment and payoff when comparing financial differences. An example could be that an average house would have a heating output of around 20,000kWh, therefore the Renewable Heat Incentive payment would equate to £2,500 per year. This payment is paid for 7 years so your installation costs are quickly covered. Speaking more in terms of costs, the average prices of wood pellets are around 4.2p p/kWH which is similar to gas, however it is cheaper than oil at 6p/kWh. In the future the price of wood pellets should become the better option as gas prices continue to rise. Something to consider when looking at Biomass – they are not effected by these charges of fuels like oil and gas from importations. Wood pellets derived from waste wood materials are the most suitable fuel for biomass boilers and typically cost between £150 and £200 per tonne with the average household requiring approximately 11 tonnes of wood pellets per year. Another incentive is the fact that if you are able to source your own wood supplies – you are then able to heat your home for free!